Want to enhance the appearance of your business premises with a new paint job? Confused about which of the many local commercial painters to hire? Relax; A-1 Painting and Performance Films is here to make the choice easy! One of the most reputable commercial painting contractors to serve Renton, WA, we offer you high-quality painting solutions delivered in a fast, cost-effective and professional manner. Whether you run a small mom and pop store or own a big office complex, think only of us when you need the services of a commercial painter. We offer you honest, BBB-accredited, expertly-staffed, service-oriented commercial painting contractors. Quality results are a given when you hire us to paint your commercial building. The team we send over to work on your paint job consists of craftsmen with exceptional capabilities. Our company has hand-picked every commercial painter to create a team that can be trusted for brilliant outcomes on every single paint job it handles. We are a customer-focused commercial painting company. Whether you seek our services as a commercial painter in Renton for an interior or exterior project, whether you call us for a re-paint job or to paint a newly constructed commercial building, we align the work to suit your requirements. Well, this is exactly what we offer! No matter the size or scope of the job we do as commercial painting contractors, we work hard to complete it to complete satisfaction of the customer. We are sure once you experience our services; you will call only us the next time your commercial property needs to be painted. 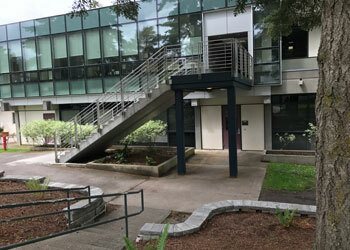 Call A-1 Painting and Performance Films at (425) 214-1599 to learn more about our commercial painting services in Renton.